Dahon rarely fails to deliver and this is another perfect example of that. 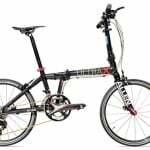 The Dahon Briza D8 is certainly going to become one of 2016's most revered folding bikes. 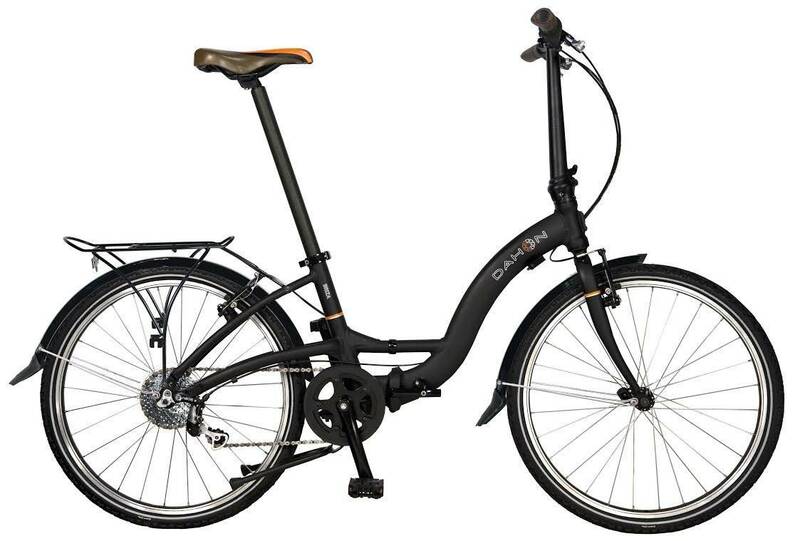 The Dahon Briza D8 has a distinctive, step through frame, inspired by the famous bikes of Amsterdam. 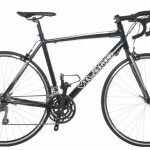 With its 24-inch wheels, this model feels more like a full size bike when you ride it, easy to ride in an upright position. 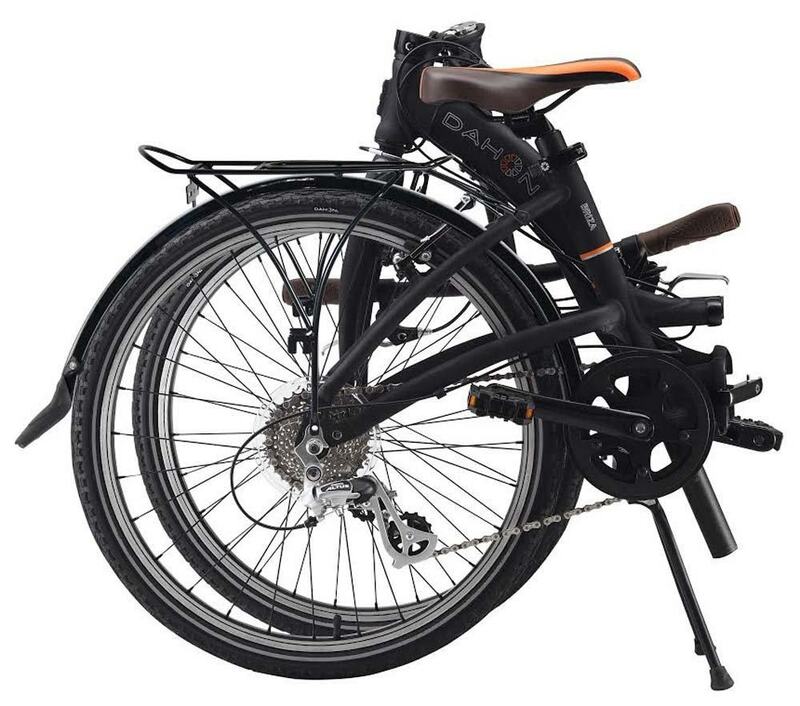 A very ergonomic option for a folding bike; the forward rake on the handle bar stem makes the cycling posture especially comfortable for a larger rider. The distance between saddle and handle bars is nice and spacious but I found it a little strange to handle. It seems to make for slightly jumpy steering. 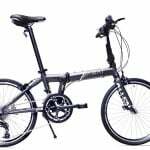 Others might prefer the Dahon Briza’s upright position, finding it more comfortable? If you like to take in your surroundings as you ride, or glance behind before making a turn, it is easier to turn the head and shoulders when seated upright. It’s also a one-size-fits-all design, sized for riders ranging in heights from 5’3” to 6’6”. 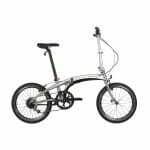 As always, Dahon rarely fails to deliver on any new folding bike model - this is another of our favorite bicycles, it's truly well refined and is built to last! I have to say I really like 24” bikes for around town and shopping, maybe because they are more responsive in small spaces. I notice whenever I lend out my 24” folding bike, (a vintage model from the 70’s), people always mention how much they like it. 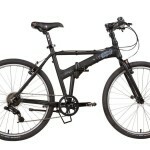 The Dahon Briza D8 comes with 7-speed Derailleur gears, usually enough for almost any conditions. (I get around fine with only three, and a bit of work!) It also comes with a kick stand, very useful for city riding. 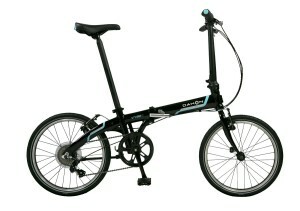 For some reason, there wasn’t a rack on the Dahon Briza D8 that I looked at but I am sure it is available. 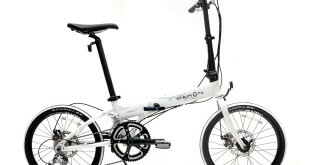 Dahon makes a couple different styles, an example is the premium version found on the Dahon Speed Uno. 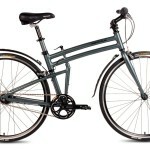 As with all Dahon bikes, this has a ‘one fold’ frame, which makes the fold easy and quick. One can also fold the steering column down and the pedals fold in, too, for a more compact folded bike. It might be worth mentioning that with any bike with small wheels, 24 inches or less, it is more important than usual to keep the tire pressure at the correct level. First, because smaller tires wear faster and soft tires will wear even faster. It is also good to remember that smaller tires will lose pressure more quickly because of the over all ratio of volume to pressure. Also, on smaller bikes, there tends to be proportionately more weight on the back wheel because of the shorter wheel base. If you find that your tires wear down rather quickly, it might have been caused by low tire pressure, and, of course, the fact that smaller wheels go around more often. It would be nice to see a few color choices in this model. 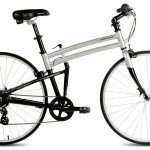 If you really like upright bikes but don’t have the space for one, the Dahon Briza D8 is a great alternative. It folds nicely to 37 x 90 x 82 cm.